2017 was a beautiful year for motorsport in Nigeria. It witnessed the beginning of a new dawn as we finally got a track and a home to indulge in our favourite sport (www.motorsportraceway.com). We witnessed the entry of new organizations that made considerable impact within 12 months and the absence of some long running events. 2017 started very slowly, picked up steam mid-year and looking back at the year, it was all worth it. Below is a review of 2017 and the motorsport calendar for 2018. 1. THE BIKERS TROPHY (The BT) & SERIES: The 5th edition of The BT 2017 that was held on the 25th of November 2017 was a huge success with the launch too of Nigeria’s first racetrack (www.motorsportraceway.com). Now in its 6th year, the annual flagship & premier motorsport event in West Africa return for 2018 with the introduction of The BT Qualifying Series. 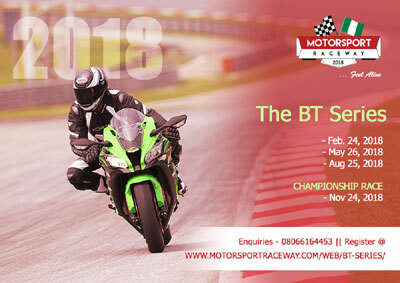 Scheduled to hold in the last weekends of the Months of February, May & August, The BT Series is the process through which racers in the 600cc & 1000cc Categories of the Superbike Race Championship that will hold, as traditional, on the last Saturday of November which is the 24th of November 2018. The Organisers of The BT have tagged the 2018 edition “The Mother of All BT”. It CANT be missed! Organized by Work and play events. They came into the scene in 2017 with Sagamu Auto Rally in May and Ondo Auto Rally in November. The Ondo Auto Rally was a fun event which included road and off-road races with prize monies for the winners. The organizers have decided to concentrate all resources towards having only one race (Ondo Auto Rally) for the 2018 motorsport year. We have confirmation from Work and Play that Ondo Auto Rally will take place in November 2018. 5. THE ROADX UNVEIL: The RoadX Unveil event aims to showcase new teams, new drivers, new colours and new team sponsors in the RoadX Race Series for the next racing season. The 2017 event was a hit and we expect an even better showcase of The RoadX Teams at The Unveil in October 2018. Eleko Motor Race didn’t hold in 2017 but the organizers have confirmed a 2018 edition for the racing event. We have missed off-roading along the Lagos coastal line of Lagos and we can’t wait to do it again. Drift League 4 was organized by Darkknight Motorsports in Abuja on 1st December 2017 after months of driver training and it was another successful event. The 2017 edition witnessed attendance of quite a number of Lagos drift lovers which signals a good sign of cooperation within the motorsport community. We expect the 2018 edition to also take place in December. Lagos drift kings Mach Motorsports didn’t disappoint in 2017 after coming into the scene in 2016. They basically upped the game from a smaller location into Tafawa Balewa Square which has a much wider space for drifting, they also did a good job infusing a runway show into the event. Revs and Runway also witnessed the presence of Abuja Drift drivers including. It’ll be awesome to have a collaboration between Mach Motorsports and Darkknight Motorsports in 2018. 10. BMW DRAGFEST 2018: Just after we had settled down to take a look back at 2017, BMW Club Nigeria surprised us with the Xmas Autofest. The show was action packed with drag races from beginning to the end involving cars and bikes, a perfect way to end the year if you ask me. Before the end of the event, they announced that there will be 4 drag races to be held in the city of Lagos in 2018. We surely are anxious. BMW Club is yet to reply our mail of inquiry into the event dates. 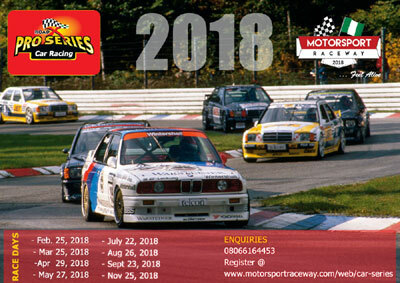 So, there you have it, Nigerian Motorsport events to expect in 2018. Tell us which one will you be attending in the comment seection and lets make it a speed date. In the wake of Yusuf Buhari’s motorcycling accident, there has been a trail of condemnation of superbike riders, and the practice of riding superbikes, with an article published on the website of Businessday Online on 31st December 2017 (Refer here: http://www.businessdayonline.com.ridder.co/dZYZ5Q), citing Yusuf’s accident as proof for the need for strict regulation on super bikes. While it is unfortunate that it had to take the president of Nigeria’s son to be involved in an accident before a national spotlight is shed on the world of Nigeria’s super biking community, there is a positive side to this world of motorcycling and this should be taken into consideration before passing judgement. Just as there are reckless riders, we also have reckless motorists, but more often than not, motorbike accidents are met with less sympathy than car accidents, with a larger percent of the blame being heaped on the rider, even before a proper analysis or a valid eyewitness account is provided. In January 2011, news of Tonye Claude-Wilcox’s death was broadcast all over the Internet. He had been riding his superbike from Lagos enroute to Calabar, when he met with an accident. Most blogs/sites described what happened as a collision between his bike and a vehicle, but one thing was missing - the fact that the vehicle that collided with the late Tonye’s bike was on the wrong side of the road, and coming in the opposite direction, or as we say, driving “one-way”. In the case of late Fred Omame, Kanu was also present at the Lagos Island General Hospital where Fred was brought in by the Lagos Ambulance Service, following the accident which had occurred on the Third Mainland Bridge. “Fred was still conscious when he was brought to the hospital, conscious enough to tell us that a woman in a red car, who had tried to overtake a bus in the middle lane, rammed into his rear and drove off. Fred was on the ‘slow’ lane, while she had crossed from the fast lane. Unfortunately, there was another vehicle parked along the ‘shoulder’ of the bridge, and Fred, who was already on the ground with his bike, slid into the stationery vehicle,” says Kanu. Fred passed on over a year later of his injuries and as is the norm, news of his death was met with the usual disdain for superbike riders, along with the general perception that superbike riders are rich, irresponsible and reckless, except that in this case it was a “Hit and Run”. Kanu and a friend realised that they needed to do something to keep their fellow riders safe and to help them be better road users. They set up the Ride Easy Superbike Training School, located in Ikeja. Kanu is currently the highest certified riding instructor in Nigeria, having completed Probike UK’s Motorcycle Instructor Training - Levels 1 and 2 - at the California Superbike School, UK; Levels 1 and 2 GS BMW Off-Road Skills, and Lee Parks Total Control Level 1. The Ride Easy Motorcycling Club, one of the foremost motorcycling clubs in Nigeria , and of which Kanu is a member, even brought in an international riding instructor from Canada to give Advanced Rider Tactics training to its club members. There are other motorcycling training schools spread across the country, which are not funded by government, yet, doing their best to impart safe motorcycling practices to their students. In recent years, the biking community in Nigeria has grown to encompass a large group of men and women in various professions, who are united by the passion they share for motorcycling, whilst adhering to a uniform code that promotes safety, honour and integrity. Investment banker, Kwesi Amanor-Boadu lends credence to that code. “Motorbikes are machines like every other form of transportation. The person operating the machine is responsible for all eventualities. My safety and the safety of other road users is important all the time. This is the ethos of the well trained and oriented Rider. One crazy car driver does not make all drivers bad same with motorbikes,” he says. Perhaps the pending actions would be to set up proper licensing procedures, much like what obtains for motorists, where superbike riders are required to undergo rider training from accredited riding schools and be properly evaluated before being licensed to ride, along with their own set of rules of regulations, such as wearing the right gear. There is also a need to shed more light on the efforts at positive impact that the biking community makes towards the society, so that others may be encouraged to ride in the same vein. Take for example Ryker’s Ride, a biker fundraising and awareness ride started by super biker and engineer, Paul Lawson. Ryker’s Ride unites the African Biker Nation to support and highlight the work of children’s charities, such as the SOS villages, and also highlight the plight and educational needs of the less privileged child in West Africa. 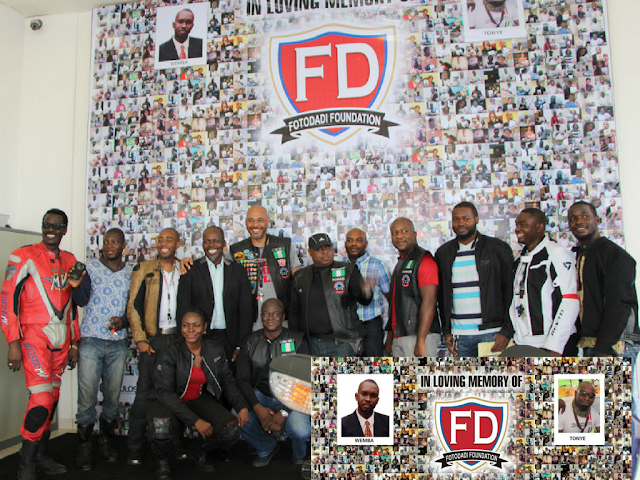 There is also the Fotodadi Foundation, co-founded by Ogbonnaya Kanu and Segun Obagun in 2015, and which was set up in memory of Tonye Claude-Wilcox and Wemba Otike-Odibi - both riders. The foundation awards scholarships to disadvantaged fatherless and orphaned children from primary through to first-degree level. Bikers also constitute a majority of the donor base. The uniqueness of the FD Foundation lies in the fact that as long as beneficiaries are able to meet the criteria set by the foundation, their fees will continue to be paid till they graduate from university. The Biker’s Trophy (BT) marked its fifth year of existence in 2017. 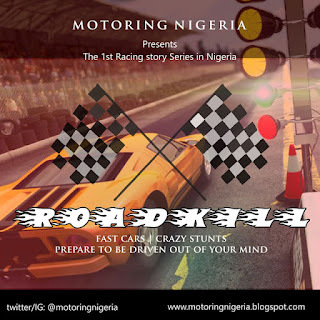 The BT is Nigeria’s premier motorsport event, which takes place annually in Edo state. In previous years, the race took place on a closed public road through the supporting villages of Urhonigbe, Uromehe, Evbonogbon, Obazagbon, Umughun, Ogba, Ugo, Egbokor and Ugbokirima in Orhiomwon Local Government Area of Edo State. The 2017 edition saw the race taking place on the first purpose-built racetrack at Evbuobanosa, Near Abudu, Edo State. Tough Tourers is a recently launched platform that provides riders with a well structured opportunity to engage in long distance motorcycling, and honours them for their motorcycling achievements. It also promotes tourism, as the tours involve riding to a variety of locations in Nigeria. In other parts of the country, different motorcycling clubs engage in various acts of charity, caring for their communities, as they try to make a difference. 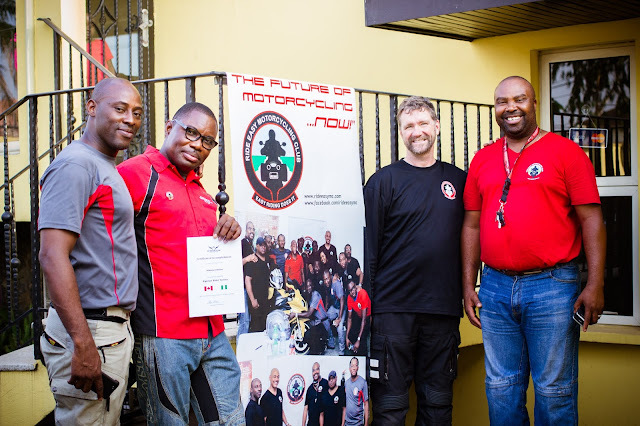 The development of motorcycling in Nigeria has also brought employment and business opportunities, such as the establishment of motorbike workshops and rider training schools, sales of motorcycle spare parts and gears. Time and again, it has been proved that people fear what they do not understand, and with superbike riding being a relatively new development to most Nigerians, topmost on most people’s minds are the inherent risks involved in engaging in the sport. With time, we hope that this will change, and that people will understand that riders have chosen - in the words of a leading motorcycle manufacturers slogan - to MAKE LIFE A RIDE. Our thoughts and prayers go towards the speedy recovery of Yusuf Buhari.